People play golf for all sorts of different reasons. It’s a great way to get some fresh air and a little bit of exercise. It challenges your competitive spirit. It’s fun to play. But there are other reasons people play the game. 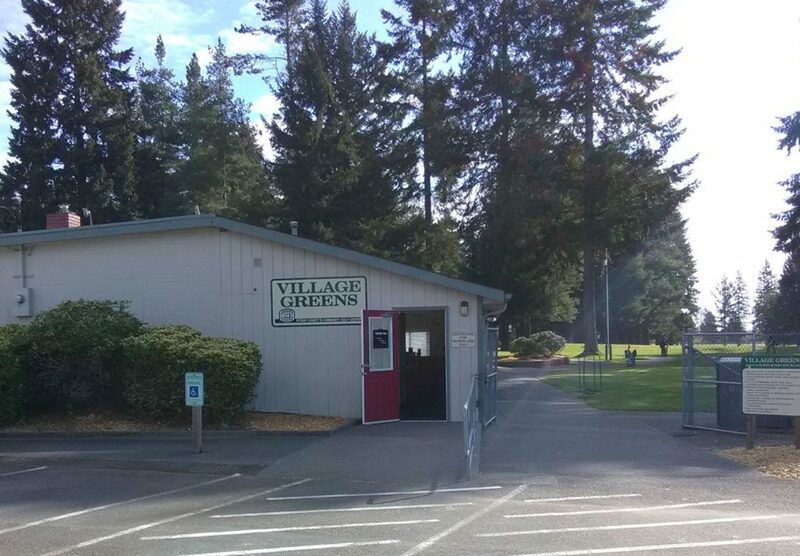 My first job as a golf professional was at Village Greens Golf Course in Port Orchard, WA back in 1982. It’s a unique course with 14 par 3’s and four par 4’s. The par 3’s range from 108 yards to 227 yards, and the par 4’s are a little under 300 yards. The greens are small, and are elevated three to four feet, so while the course is short it’s not as easy as it looks. There was a lady who started playing there during my second season. I think her name was Sylvia. She was in her early 60’s and she’d had a rather severe stroke, and decided that golf was going to be her rehabilitation. I gave her a couple of lessons to get her started….just an overview of how a golf swing functioned, how to chip and how to putt. We also worked on helping her to develop some balance, which combined with her limited range of motion was difficult because of her stroke. The first time she went out was on a quiet afternoon when the course was empty. Par at Village Greens is 58. She shot 218 for 18-holes, and it took her nearly seven hours to play. She walked the course and counted every stroke, including whiffs. The fact that she was 160 over par was of no consequence to her. It was the first time she had ever been on a golf course, she knew golf wasn’t an easy sport, and considering her physical limitations she was thrilled to just be able to play. She was also using her score as a barometer for monitoring her health and her playing ability. “You gotta start somewhere, right Joe?” she beamed. It took her a couple of days to recover after that first round, but she was back for another lesson and then ventured out onto the course again later that week. This went on all spring, summer and fall. All along the way there were little victories. The first time she got through an entire round without whiffing a shot. The first time she made a triple-bogey. The first time she had enough confidence to try to hit a shot over the pond instead of going around it. The first time she broke 200 she let out such a loud scream I nearly called the Fire Department from just down the road. I thought someone was being attacked by a critter on the course. It wasn’t too much longer before she was able to get around the course in four hours and her score had dropped another 50 shots. She was regularly shooting below 150. By the next spring, she was moving around pretty good. She had spent the winter taking walks every day, had been doing some physical therapy, and her range of motion had improved a lot. She wasn’t fully recovered from her stroke, but she was quite a bit better. She came in at the beginning of the season and asked about joining the Ladies Club, a group that played every Tuesday morning. Most newer golfers would be too intimidated to even think about doing that, because they are either too embarrassed by how they play, or they worry that other people will judge them. Not her. This was all part of her recovery. She wanted to be part of the league and jumped in with both feet, just like she had the previous year when she learned how to play golf. Several of the women were afraid to play with her because of her physical condition. Others wouldn’t play with her because she didn’t play very well. But there were three women that welcomed her into their group, and they played together every Tuesday morning. They quickly became fast friends. That entire season Sylvia played five or six days a week. She got to where it was taking her about three hours to play 18-holes, and there were a few times she would even go out for an extra nine. Her scores continued to improve, and we had quite a celebration when she broke 100 for the first time. Now think about that for a moment. 16 months before she shot 218 and it took her seven hours to play. She was so worn out that she could barely make it from the 18th green back to her car (no exaggeration, she was nearly crawling out the gate she was so exhausted). Now she was playing in three hours and breaking 100. Her limp was barely noticeable, she had more energy than nearly everyone out there. And talk about someone with a positive outlook on life! This story doesn’t end with her winning the Ladies Club Championship, although it would have been great if she had. But she did become a fixture at the course, playing nearly every day. I don’t know that she ever fully recovered from her stroke (I don’t know if anybody ever does), but you would never have known that she’d been a stroke victim only a few years before. I am so glad Sylvia discovered golf. While it started out as a way for her to recover from a serious health event in her life, she came to really appreciate the game itself. It challenged her both mentally and physically. She met a lot of people and made a lot of new friends. And after being faced with the cruelty of what only a stroke survivor could understand, golf gave her an opportunity to get her life back. What a great game this is.